Miranda Lambert brought her 2018 ‘Livin’ Like Hippies Tour’ to Scottrade Center on Friday March 17. Lambert brought along country new comer Ashley McBride and up-and-comer Jon Pardi for the show. All three of the acts were based deeply in traditional country, but each have their own variation to the genre. The second act, Jon Pardi, got things going by coming on stage to Journey’s “Jukebox Hero.” This set the tone for Pardi’s performance with a lot of rock-influenced set. Pardi was able to get all of his hits into the set, including: “Up All Night,” “Head Over Boots,” “Head Over Boots,” “Heartache on the Dance Floor” and his current single “She Ain’t In It.” He also broke out two songs off his current “California Sunrise” album; “Night Shift” and “Cowboy Hat.” The energy that Pardi brought into his set was a great lead into the headliners set. And finally, Miranda came out bringing her traditional mix of high-energy and high-emotion show. In a set that last nearly 75-minutes, she played 14 songs from her catalog. Lambert opened with her high-energy rendition of the 2005 single “Kerosene” which set the tone for the whole show. Her set included a good mix of the songs that that spanned the last 13 years of her career. Lambert once again proved why she she’s been nominated multiple times for Entertainer of the Year. Her ability to take a song about an everyday thing such as bathroom sink or sunglasses prove she’s able to bring life to any song. She brought out a song from her 2014 album “Platinum” called “Bathroom Sink,” an emotional song about using the bathroom sink as a point of reflection on life events. She also included a cover of Joe Walsh’s 1973 hit “Rocky Mountain Way” to further prove her artistic range. Lambert commented to the audience how she felt at times when performing. At one point mentioning she was a little pissed during some of her songs. The Texas spitfire may be at her best doing these kinds of songs. This especially comes out during her songs written about her “bad 2015”. This was most evident during her encore of “Little Red Wagon.” During the song, Lambert took a few subtle shots at her ex, Blake Shelton. There was no misinterpreting her feelings. 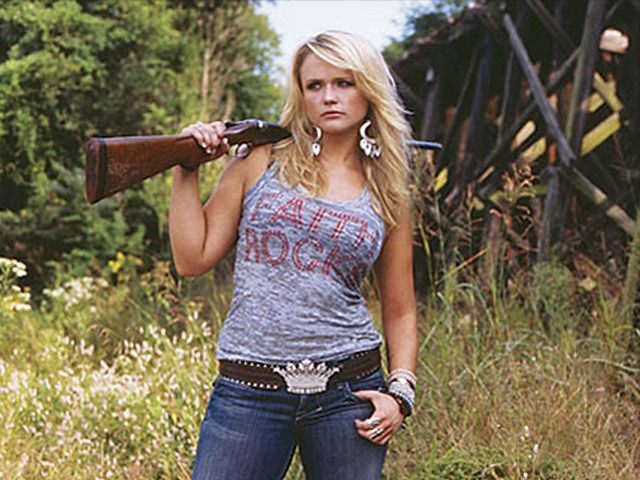 Miranda Lambert’s show gets an A.